Posted March 4, 2019 by Visitor & filed under Uncategorized. Posted May 17, 2016 by Visitor & filed under Carpenter Bees. Do you see small 1/2 inch diameter holes in your home’s siding, your deck, a wooden play structure, a pile of lumber or a stack of firewood? 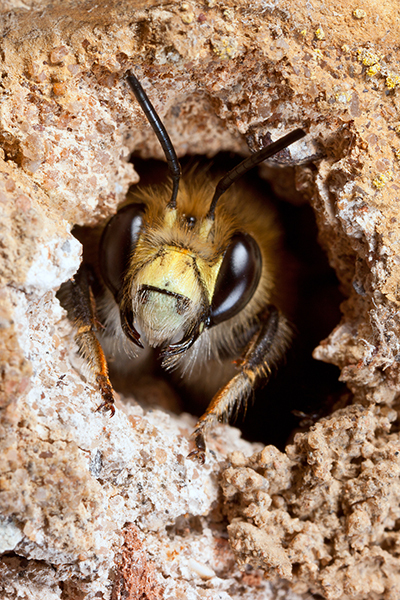 Is a single bee entering and emerging from the neat entrance hole, or hovering around the entrance? 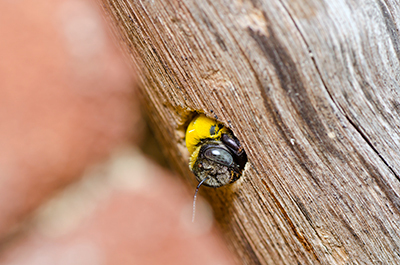 You probably have discovered a carpenter bee nest, drilled into the wood in or around your home. When are carpenter bees most active? Carpenter bees begin to become active in April, peak in activity in May and then gradually decline until they drop off of the radar in October. Carpenter bees are large, as bees go, and have a shiny abdomen. They are loners. You won’t see multiple bees emerging from and entering into a carpenter bee nest. In this way they are unlike yellow jackets, honey bees, bumble bees and other insects that establish colonies. Carpenter Bee Prevention, Treatment – Are carpenter bees a problem? So, what’s the problem with carpenter bees? Unlike termites, carpenter bees don’t eat wood. They just drill their neat hole for a nesting place to raise their young. They’ll drill about an inch directly into the wood, and then make a 90 degree turn to follow the wood grain for another six inches. The female then subdivides the long part of the tunnel into about 6-10 compartments, laying an egg in each compartment, then stocking it with pollen to feed the newborn. Compared to termites, and even carpenter ants, that 6-inch carpenter bee hole does not cause much damage to the wood… at least directly. But here’s the problem: Next year, another carpenter bee will find that exposed, abandoned nest, move in and expand the nest. Bees that appear in subsequent years will continue to expand the nest. Now what began as a small hole becomes a gradually expanding network of tunnels, potentially breaking through into your home. And, a site that is inviting to one carpenter bee will be inviting to others. Additional holes are drilled, nests that will gradually expand. So, you have this gradually expanding network of tunnels in your home’s siding, deck or play structure. Now add to this the indirect damage. The tunnels invite moisture, resulting in wood rot. Furthermore, wood peckers, sensing carpenter bee activity beneath the surface will do what wood peckers do best: Begin pecking at the wood, digging through to capture and eat the bee inside. You could end up with a wood surface that is totally splintered and destroyed! Carpenter Bee Prevention, Treatment – How to discourage carpenter bees in the first place. Fortunately, it’s pretty easy to discourage carpenter bees. Just smooth and paint all exposed wood with a coat of exterior paint or a polyurethane finish. It’s important to prepare the wood before painting. Caulk any cracks, fill any divots, make it very smooth. If there are carpenter bee holes from previous years, shove some steal wool into these, seal them off with an exterior wood filler, sand and paint. Note: Make sure there are no living carpenter bees in the holes before you seal them. Why? They’ll continue digging into the wood until they finally tunnel to freedom–perhaps the inside of your house?! You’re pretty safe sealing carpenter bee holes in non-carpenter bee season (see above chart). Also, be sure to seal wood that you cannot see including the back side and underside of boards. Cover firewood piles and stacks of lumber. We’re trained, licensed and experienced to locate all the potential and current nesting sites of carpenter bees. In addition, we’ll inspect your home for other pest issues (mice, rats, cockroaches, carpenter ants, termites, moths, bed bugs and wood boring beetles…just to mention a few). Why go through the prevention sequence multiple times throughout the pest season, and potentially experience costly pest damage because you missed one of the common pests? Immediate Control: If there are many bees, you could use an aerosol insecticide to establish an immediate control of the situation. But note that this is only a temporary solution that lessens the problem and makes the longer term fix more manageable. Long Term Solution: The most effective insecticide for carpenter bees comes in the form of a dust. Apply insecticide dust to the entrance of the carpenter bee nest. Do this while the bees are inactive. The best times are at night, and during their off-season (see the chart above). Sealing the Nest: Once you’re convinced the carpenter bee is dead (you might wait a few days after applying the dust), fill the tunnel with steal wool or a dowel and wood glue, apply exterior wood filler to smooth out the entrance, sand the wood and paint the surface with an exterior paint or polyurethane finish. 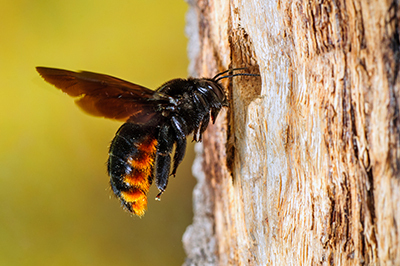 Carpenter bees, though not dangerous to humans, and not as damaging as termites, wood beetles and carpenter ants, can still destroy a wooden surface and underlying structure. It’s best to take preventive action by making the wood surfaces on or around your home or business “carpenter bee unfriendly”. And, regularly inspect for the presence of carpenter bees, especially during the month of April – June, and take quick action if you discover carpenter bee activity. Be safe and sure, get a professional home or business pest inspection. Posted May 6, 2016 by Visitor & filed under Bees. How to Get Rid of Bees – Aren’t They Beneficial? What’s the Problem? Bees provide an extremely beneficial value to all of us, pollinating over 100 crops in the U.S. alone. In recent years, honey bee populations have been declining due in part to the application of systemic pesticides to crops. 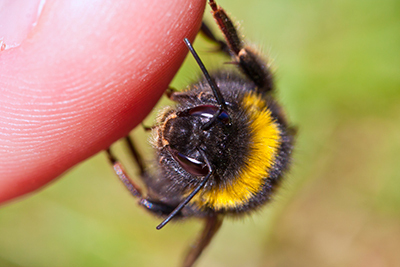 If bees were to disappear, our environment, health and livelihood would be greatly damaged. So, with these thoughts in mind, why would we be writing an article entitled, “How to Get Rid of Bees”? Bees, in nature, do provide an highly essential function. In fact, so do termites. 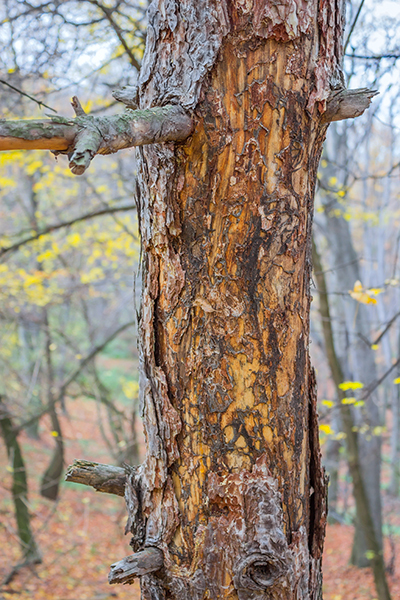 Termites break down dead wood in nature, making it available to enrich the soil. 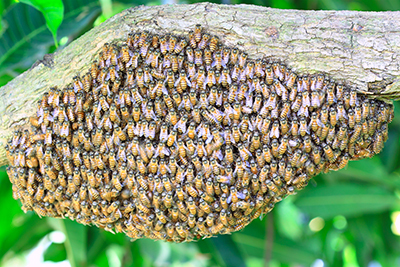 Where bees and termites become a problem is when they take up their dwelling in your home or, in some cases, in a problem location on your property. Even the beloved honey bee can wreck havoc on a house. In many cases, honey bees will take up residence within the walls of a house. There, they will occupy from 4-9 gallons of space filling the wall with honey. Beyond that, they have been known to secrete water onto the surrounding Sheetrock, dissolving the Sheetrock in order to expand their hive. In some cases they may actually break through to the inside of a house and begin flying around by the hundreds–definitely not a desirable situation. So, a homeowner may apply insecticide, killing the bees. Now there are gallons of honey remaining inside the wall. The honey attracts a host of other pests including ants, cockroaches, mice, rats… all pests that love sweet food. Now you have a real problem. 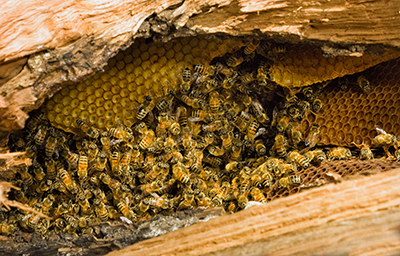 Note that honey bees swarming on or near your home are swarming around their queen, looking for a new home to occupy. The huge ball of bees, though it looks threatening, is generally not dangerous, unless provoked. And, a bee keeper may be able to transport that swarm to a new home in some agricultural area where it will provide a great benefit. It can be a win-win situation for you and for the bees! Consider the carpenter bee. They are solitary individuals, and not likely to sting. However, they bore into a wooden structure like a deck or play structure, or the siding of a home. Over time, they’ll expand their home, and have been known to completely bore through an outside wall and emerge into a house. The holes they create can host other pests, invite moisture damage and thus compromise the integrity of a wooden structure. Then, there’s the ground bee. 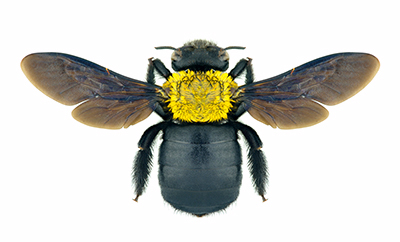 Like carpenter bees, ground bees are solitary individuals, unlikely to sting unless greatly provoked. They make their nest in weak, unhealthy dry lawns. You’re likely to see a number of nests in an area. It can be a bit unnerving and make relaxing in your backyard difficult amidst the buzzing of the bees. But beyond that, yellow jackets also live in holes in the ground, and are attracted to similar soil conditions. Imagine thinking you’re happily tolerating ground bees, only to find a similar looking hole you just stepped on contained a yellow jacket nest. 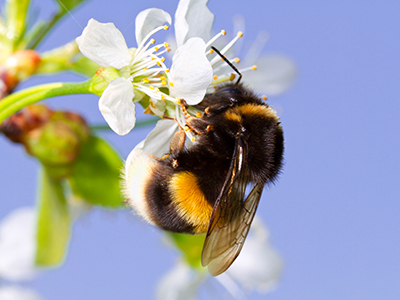 The bumble bee, like the honey bee, is a highly beneficial pollinator. They tend to take up residence in an old abandoned mattress, car cushion or out building. Like the other bees, they are non-aggressive and not likely to sting. However, if their nest is near a walkway or area you frequent, they can become aggressive. How to Get Rid of Bees – Prevention is the first line of defense. Remove rubbish from your yard (dead wood, stacks of wood, used mattresses, any object that might make a good home for bees). Water and fertilize your lawn and garden, keeping it healthy and trimmed. And, trim all trees and plantings six inches to a foot away from your house. Seal up all cracks and openings in your home’s foundation, siding, roofing, around gutters, doors and windows. Make sure that ceiling and wall vents are well screened. Openings invite bees and other pests. Observing these 3 simple tips will help make your home an uninviting place for bees and other pests. How to Get Rid of Bees – They’ll let you know how well you did. If you do encounter a bee problem, or a problem with other pests, realize they are great opportunists. They’ll discover any opening or suitable place to make a home. And, if a few bees begin to create a happy home, you can be sure that they’re finding conditions favorable to other pests. It’s only a matter of time until the others begin to move in. So, when you see the beginnings of a bee infestation, immediately remove the conditions that favor that infestation. It’s wise to call in a licensed pest control professional. A professional will not only safely eliminate the problem, but will assess any damage to your home and suggest needed repairs. 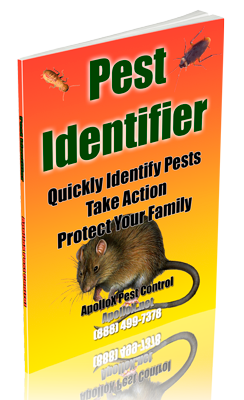 In addition, at ApolloX Pest Control, we never just deal with the one issue we were called in to treat. We naturally inspect the surrounding area for the presence of other pests, and for conditions favorable to pests. One visit can nip a pest problem in the bud, and also prevent future expensive problems along with damage to your home and health hazard to your family. Posted April 29, 2016 by Visitor & filed under Cockroaches. While the cockroach already has an uncanny “super bug” reputation, the real truth will blow your mind. 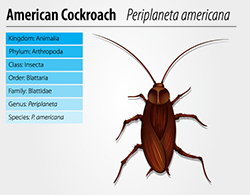 Most people know that the cockroach has been around for a long time, and will probably be the last species on the planet, even after a global nuclear war. Most people know that cockroaches are hard to eradicate, and suspect that they are possibly winning the battle against humans in terms of both numbers and population growth. Certain species seem to have an almost mythical reputation. The coyote, the rat and the cockroach are good examples. Nevertheless, some of the following cockroach facts will still surprise and shock you. When we think about cockroaches, we often think only of 3 species. But did you know there are over 4,000 species of cockroach on the planet? And they exist on every continent except Antarctica. Cockroaches are older than the dinosaurs, and have been around for 359 million years. Many species have come and gone the way of the dinosaur since then…but not the cockroach. No food, water, air? Not a huge immediate problem for a cockroach. 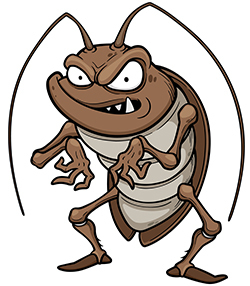 A cockroach can go without eating for a month. They can survive without water for a week and when water is scarce they retain it longer by holding their breath. In fact, cockroaches can hold their breath for 40 minutes at a time, which means they can also survive under water for that long. So, the drain and the toilet are not necessarily barriers to cockroaches seeking entrance into your home from the sewers. No head? Not a problem! Cockroaches breathe through holes, or spiracles, in their body segments, so do not need to use their mouths to breathe. However they do need their mouths to drink water. For this reason, a cockroach can survive for a week without its head! It only eventually dies due to lack of water. Nuclear disaster? Not a problem! Since their cell cycles are slower (they molt only once a week), cockroaches can tolerate high levels of radiation and have been found at nuclear disaster sites (Hiroshima, Nagasaki, Chernobyl) living as if nothing happened. Sub-freezing temperatures? Not a problem! At least it’s not a problem for the Japanese cockroach, who hibernates under the winter snow down to 8 degrees below zero, then emerges in the spring ready to continue on with life, even if he has spent the entire winter frozen! If it’s organic, cockroaches can eat it. This includes dead insects, paper, cloth, soap, wood, glue, and hair. Speaking of hair, they have been known to eat people’s eyebrows and fingernails at night! They also love beer. Since the female cockroach can store sperm, she needs to mate only once, and then can reproduce for the rest of her life without a male. These females just don’t have much of a need for men! And, their babies grow fast! German cockroach eggs hatch and grow to adulthood in as little as 30 days! They’re ready to breed in 120 days. Cockroaches, which you’ll remember can hold their breath as they move through the sewer and drain pipes, carry bacteria and viruses on their bodies that cause such diseases as tuberculosis, cholera, leprosy, dysentery, and typhoid. Some studies have found up to 45% of children are allergic to cockroaches and suffer asthma as a result of cockroach exposure. Cockroaches like to wedge themselves into tight places, and curiously, have been reported by some doctors, to be the most common foreign objects removed from children’s ears, up to 50% of the foreign object removals. What’s the fastest land moving creature? Most people would say it’s the cheetah at 60-70 mph. That’s fast…freeway fast. But the cockroach, once size is taken into account is 3 TIMES AS FAST AS A CHEETAH! A cockroach can move 50 times its body length in just one second. That’s the equivalent of a 1 second 100 yard dash, or 200mph. We’re lucky they’re not the size of a cheetah! We’d all be doomed! A baby cockroach, the size of a grain of sand can run almost as fast. And, they run vertically up walls just as fast! One species, discovered in South Africa in 2009, can even jump like a grasshopper. Cockroach Facts Beyond Belief – They Do Get Bigger! As we just said, we’re lucky the cockroach is not the size of a cheetah. However, there is a large version in South America that is six inches long with a wingspan of one foot! We have not yet discovered the limits of what a cockroach can sense, but it goes way beyond human and animal ability. Cockroaches can sense changes in barometric pressure and know when it’s about to rain. In Bermuda, thousands of cockroaches have been seen running across roads shortly before a downpour. 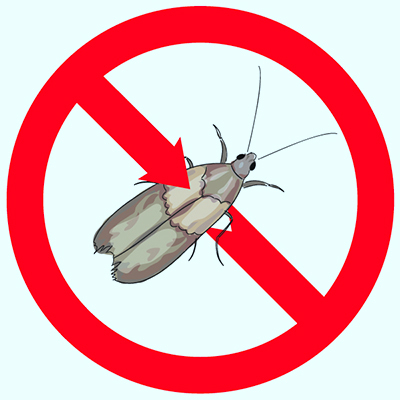 The sensitivity of the cockroach also includes the ability to signal others as to the presence of a food source, so cockroach infestations can grow to huge proportions. One record is over a million cockroaches discovered in a New York home in 1979. There were 24 dogs, 20 cats, 2 mice and a parrot in the same home, so the presence of pet food most likely contributed. The story demonstrates the cockroaches ability to grow their population to match the local available food source. The Madagascar hissing cockroach makes a great pet. It’s odorless, and, like all cockroaches is hard to kill and lives a long time. Tired of little Johnny’s heart being broken every time his favorite pet fish dies? Get him a cockroach! 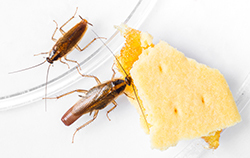 As long as cockroaches are fed a diet of food and vegetables, and raised in sanitary food quality conditions, they are edible. In China, cockroaches are deep fried and sold on sticks on the streets. Cockroaches are farmed and sold to some cosmetic companies to be ground into powder and used in cosmetic products. Can that cockroach durability last longer and make people look younger? You may already have found out, and not known it! Cockroach Facts Beyond Belief – How to wrap this article up? 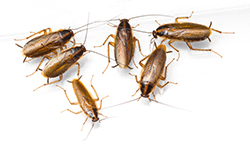 We believe that even through cockroaches are pretty amazing creatures, they don’t belong in the house, and we know how to safely and quickly remove them from your home! Posted April 27, 2016 by Visitor & filed under Wood Boring Beetles. Next to termites, wood beetles are the most destructive pests to all types of wooden structures and furniture. But whereas the main variety of termite in the Northeastern U.S., the subterranean termite, is mostly attracted to moist wood, the various species of wood beetles include both dry and moist wood eaters, in addition to hardwoods and softwoods. If it’s made of wood, there’s a wood beetle that will consume it and turn it into powder. How to Get Rid of Wood Beetles – What Are They? Lyctid Wood Beetles: These prefer hardwoods, which would include paneling, flooring and furniture. They most often infest stored lumber that has not been properly kiln dried. Bostrichid Wood Beetles: These infest seasoned softwood and hardwood, especially unfinished floors, window sills, and furniture. 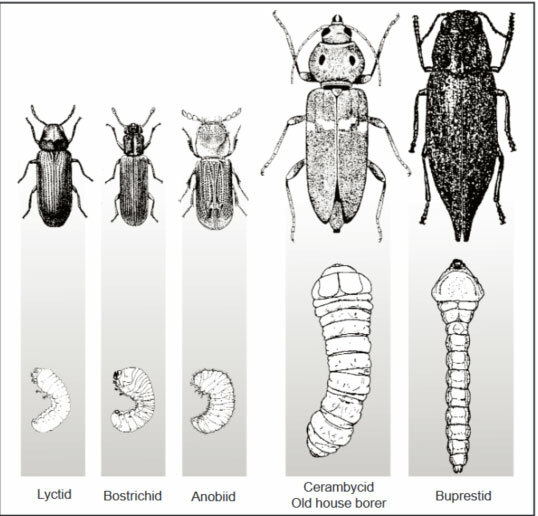 Having described and pictured the wood beetle varieties, the truth is you may never see one — even if you have a wood beetle infestation. This is because wood beetles do all the damage while hidden in the wood as larva, and only emerge for a short time as adults, and then, usually at night. The adults mate, lay eggs in the exposed pores of the wood, the eggs hatch, and the larvae bore into the wood where they may dine for as long as 12 years before emerging as adults to repeat the cycle. Wood beetles are not likely to fly into your home and cause an infestation. The most likely way they enter a home is through wood that is already infested and then brought into the home. Thoroughly inspect all wood you bring into your home. Look for the presence of pin holes. Suspects are furniture you bought at an antique store, imported wood flooring that was not properly kiln dried due to lack of regulations, lumber that has been stored outside, firewood brought into the home and left stacked by the fireplace for long periods of time (bring in only what you intend to burn that day). How to Get Rid of Wood Beetles – What If You Notice Pin Holes? The presence of pin holes in the wood indicates a wood beetle infestation. You won’t see damage immediately. 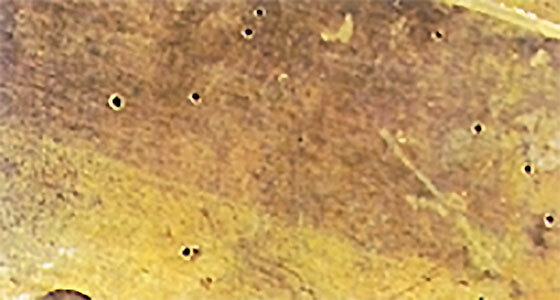 But all the while you leave the problem untreated, the larvae are within the wood slowly turning it to powder. And, they’re spreading to other areas of your home. Remember, their life cycle can be as long as 12 years, during which time the integrity and value of your home is plummeting. So, don’t leave the problem unattended. Begin by hiring a licensed professional wood beetle exterminator to inspect the damage and look for additional signs of infestation. You need an accurate assessment. Then, you need an effective strategy for dealing with the infestation. This may involve pesticide, fumigation or disposal and replacement of all infested wood–even if it means tearing out the wooden floor you recently installed and starting over. It’s much less costly in the long run to replace a floor than years later to deal with a whole house infestation. And, the official report of the pest control specialist may help you to get the project paid for by the company that originally manufactured and installed the infested wood. The presence of wood beetles in your home is a serious issue. Posted April 25, 2016 by Visitor & filed under Termites, Uncategorized. 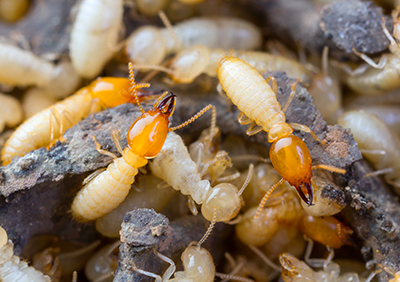 The subterranean termite is the most common termite infesting homes and businesses in the Northeastern U.S., so we’re focusing on subterranean termite prevention in this article. Termites cause nearly 3 times as much damage to wooden structures and crops as fires in the U.S. Put more exactly, fires account for about $11 billion annually in structural damage. Termites account for about $30 billion! So, “Termite Prevention Basics” begins with how to prevent the subterranean termite. 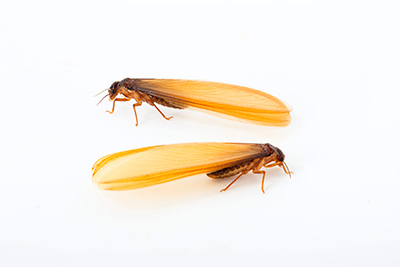 Subterranean termites, as the name indicates, live under ground and do not like to be exposed to the light. They’ve developed an ingenious method of staying underground, yet managing to get into the structure of a home. To do this, subterranean termites create a mud tunnel connecting their underground habitat with the structure they want to enter. In this way, they can literally enter a wooden structure without leaving their natural earthen habitat. And here is the basic clue to preventing subterranean termites: Keep things dry. No moisture = no mud = no tunnel = no slick freeway entrance into the structure of your home or business = no expensive termite damage. You see, whereas carpenter ants eat the kind of food we humans eat, and only create galleries for living in the wooden structure of a home, termites eat wood. Carpenter ants will usually leave the wooden structure fairly intact, minus their smooth galleries. Termites will turn the wooden structure into a crumbling mess, and, if untreated, actually bring the entire house down! Leaky roof, missing shingles, poor moisture barrier under the shingles. Leaky gutters sending rain run-off down your homes siding and into the wooden framework. Leaky plumbing. Inspect all pipes regularly. Do you have a boiler? Inspect that system also. Drippy faucets, running toilet, drain pipes – include these. Trees and shrubs rubbing up against the side of your house, or overhanging your home, dripping…water! Mulch touching the siding of your home. The mulch gets soaking wet during the rain. Guess what happens to the siding? 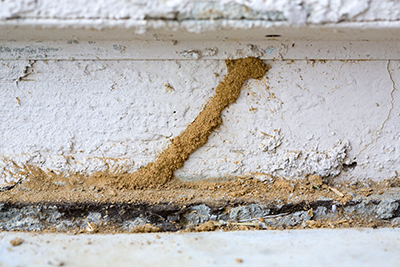 The termites may not even need much of a mud tunnel to enter into your home. Poor drainage: Does the ground around your house slope towards your house? Reverse the slope. Sounds like a big project, but not as big as replacing your home! Check the garden hose connection for leakage. Next time it rains, watch where the rain water flows. Make sure it flows away from your home. In their winged reproductive phase, termites mate, fly to a location where there is moist, welcoming wood (they can sense the presence of moist wood–probably smells like your favorite meal). Then they enter the building, quickly drop their wings, and burrow into the moist wood to lay eggs and create a new colony of wood eating termites. Openings in your homes siding, from warped or broken siding. Poorly caulked window and door frames. Again, be creative. If there’s an opening or crack, no matter how small, it’s a great entrance for a winged termite. Note: If your home is completely sealed and you notice termite wings on your windowsill or around your home, it may be an inside job! The colony may already be present in your home. Wood piles: Keep them 20 feet from your home and garage, and out of direct contact with the ground. Create a moisture barrier or raise them up on some kind of water-proof support. This includes both firewood and lumber. Do your neighbors have termites? If so, it’s only a matter of time before they find their way into your home. Dead rotting trees, tree stumps, roots. These create perfect conditions for a termite colony which can then send winged emissaries into your home to create colony #2 or more. Note that in nature, termites are doing a great service by breaking down dead wood so that it can re-fertilize the soil. You just don’t want them doing this with your home…which they will if they get a chance! No preventative measures are completely fail-safe. It’s best to inspect your home and property at least annually for the presence of termites. Look for their mud tubes, for crumbling wood and for termite wings. We suggest hiring a professional termite control expert like ApolloX Pest Control. A professional is trained and experienced to recognize signs of termite infestation that you might miss. And, if the infestation is there hidden away, and you leave it unattended for any period of time, there could be big damage – much more expensive than the cost of a professional termite inspection. Termite Prevention Basics – What If It’s Too Late? So, you suspect or discover the presence of termites in your home. Now what? First you need to exterminate the termites. Completely locate every part of your home that could possibly be infested. How can you be sure you’ve found ALL the termite locations in your home? Best to hire a professional. It’s not worth “guessing” or “hoping”. You probably wouldn’t do that with a fire hazard. Remember that termites are 3 times as destructive as fire. Second, you could use a termiticide. However, there’s a safety issue for humans and pets here, which is the reason that many jurisdictions require a licensed professional to apply a termiticide. Again, contact ApolloX Pest Control. You could try a non-toxic remedy. There are many articles on the internet suggesting such remedies. However, do you really want to risk your home to a solution you found on the internet written by someone who has no accountability to you – a solution that MAY not work? The stakes are pretty high. Experience peace of mind knowing that the problem has been eliminated. Save a huge expense in repair costs. In fact, be assured that you know exactly what needs to be repaired. We’ll let you know where the the termite damage is located in your home and what needs to be repaired. We’ll even suggest a future termite prevention strategy based on your particular building and location. Posted April 11, 2016 by Visitor & filed under Pantry Moths. 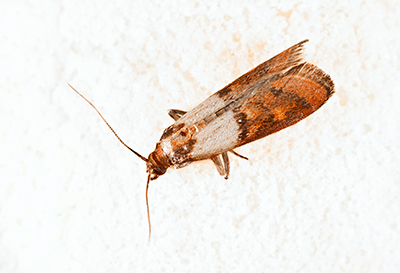 Pantry Moth Extermination – Why Bother? Put simply, pantry moths destroy food. They rapidly multiply and as their larvae eat through the food in a container whether it be a bag of flour, a cereal box or a box of oatmeal, they leave grow, molt and leave old skin casings, fras and waste on the top 2 inches or so of the food container. The food inside is no longer edible. The first sign you have pantry moths will often be sighting one or more moths flying around the kitchen, mostly at night seeking light or a mate. The moths are about a half inch long with a 5/8 inch wingspan. The two main types of pantry moth are the Indian Meal Moth which is gray with a redish tint on the rear area, and the Mediterranean Flour Moth which is alternately gray and buff white with no coloring. For every adult moth you see flying around the kitchen, there are likely hundreds of eggs and larvae somewhere living in one or more food containers. Any open food source like a bag of flour or a cereal box is suspect. Dry food that has been sitting around in the back of your shelf for a long time is especially susceptible to pantry moth infestation. The sight of cocoon webbing around the edges of cupboards and food storage areas, or worm-like moth larvae verify the presence of the moths. You may even notice a moth flying out of a cereal box as it is opened. Closer inspection may reveal the presence of moth eggs which are only 1 to 2 hundreths of an inch and grayish white in color. The larvae are small ½ inch long 5 legged caterpillars and are off white, depending on the food source. They may vary in color to green to pale pink or brown. It takes from 30 to 300 days for one moth to multiply to 400 moths. The cycle goes faster if it’s warmer, and there is a good food source. Do the math: Let’s be conservative and say the cycle takes 150 days. In six months you might have 400 moths, and in a year 200 X 400 = 80,000 moths (only the females lay eggs)! Your kitchen is completely trashed! The Eggs: The pantry moth life cycle begins when an adult female lays up to 400 eggs, typically directly on the food source. The eggs hatch in about 7 days and the larvae emerge. The Larva: The larva is the only stage of pantry moth development that eats. Their one goal in life is to eat and gain bulk. It takes them about 42 to 56 days and 5 stages of development, each stage ending by shedding their skin which collects at the top of the food container along with their waste. The Pupae: The pupae are from ¼ to 1/3rd inch long. You’ll see them in the open or in cocoon webbing. Look especially in tight spots such as crevices in pantry shelves or doorway seams. The pupae continue to develop to adulthood for about 15-20 days. The Adult: Adult moths emerge from the pupae looking for a mate and having a mission to reproduce about 400 moths. The female releases a pheromone scent to attract the male. At this stage you’re likely to see a few moths flying around the kitchen at night. The adults live for up to 2 weeks. You can be a meticulous cleaner and still get a pantry moth infestation, because the tiny moth eggs may already be in the dry foods you bring home from the grocery store. So, be easy on yourself and focus on the solution which begins with seeking points of infestation. Pull all food containers off your pantry shelves, so that the shelves are completely empty. Then inspect each container one by one. What to inspect? Check every box, bag or package of food, whether sealed or open. All edible food is suspect. For example, inspect dried flowers, children’s macaroni art, pasta, pet treats, dog biscuits. Inspect every can and jar in the kitchen. Look for moth webbing under the lips of jar lids and on the rims of cans. As you discover infested food, dispose of it immediately. Tightly seal all infested food items in trash bags and get them out of the house and garage. Don’t even think of saving part of the food in an infested container. The whole container is infested. If webbing is found on an unopened can or jar, wash it thoroughly with a 50/50 mixture of white vinegar and warm water. Now, before returning the cleaned, non-infested food containers to the pantry, vacuum the pantry out (and dispose of the vacuum bag in one of those sealed trash bags as noted above). Then, wash down the pantry shelves with that 50/50 water vinegar mixture. Also, wash down every surface in the kitchen from walls to floors and even in places like door jams – a favorite hiding place for moth eggs. Don’t forget to wash the garbage containers and pet food dishes and containers. Finally, tightly seal all food. Remember, female moths lay eggs directly on food. If they can’t find exposed food, they have no place to lay their eggs. If you’re following all of the above suggestions and thoroughly cleaning everything, yet still have a moth problem, you might try pheromone moth traps. This is safe and completely non-toxic. The pheromone scent in the trap attracts the male moths, and the stick surface traps them. With the male moths out of the picture, reproduction can’t take place. This gives your pantry cleaning efforts (above) a better chance of success. Place a few bay leaves in your cleaned pantry shelves to help deter any moths that might be lurking about the house. If your pantry moth problem persists, or if you simply don’t have the time or desire to conduct the thorough measures outlined above, we understand completely. That’s a huge task. A quicker, alternate approach is to hire a pest control professional like ApolloX Pest Control, the pantry moth experts. We’ll thoroughly inspect your home and likely discover places you would never have imagined moths, eggs, larvae or pupae could be hiding. 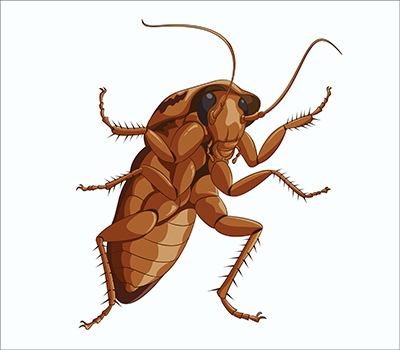 While we’re at it, we’ll also inspect for the presence of other pests like mice, cockroaches, ants, termites and others. 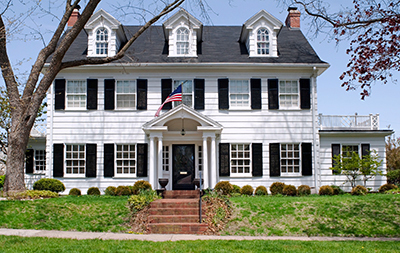 Our goal is that your home and the area around your home be entirely pest-free. Posted April 10, 2016 by Visitor & filed under Pavement Ants. Sugar ant pest control mostly refers to controlling pavement ants and pharaoh ants. Technically “sugar ants” as a species live in Australia. It’s the pavement and pharaoh ants that live in the U.S. They appear in your kitchen and mostly from March through September. Here are some tips for eliminating the problem. Sugar Ant Pest Control: What Are They? Here in the Northeastern U.S., we’re talking about pavement ants and pharaoh ants, tiny black ants you might see swarming around a crack in your sidewalk or trailing across your kitchen floor and swarming over a piece of food that fell into the floor space between your refrigerator and kitchen counter. There are more of these kinds of ants than any other ant species in North America. The phrase “Little Black Ants” has also been used. 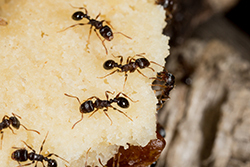 Sugar Ant Pest Control: What Do They Eat? Even though a dish that has held food items may look clean, there is probably enough residue to attract thousands of sugar ants. If you leave dishes in the sink, even though they are in standing soapy water, that will attract sugar ants. If you wash the dishes, yet fail to thoroughly rinse the sink and drain, you’re leaving sugar ants a feast. For good measure, and to completely wipe out all the odors that could attract sugar ants, pour ¼ cup of bleach or white vinegar down the drain every few days. The key here is to eliminate all odor that could attract sugar ants. Place a little bleach on a paper towel and wipe down all your counter tops and your kitchen table. The bleach or white vinegar will totally eliminate the pheromone smell that guides ants along their trail. Confused, they’ll turn around and look for another source of food, hopefully outside your home. If sugar ants are a problem in your home, completely mop your kitchen floors and any other floors in your home where sugar ants have been seen at least once a day in the evening. Again, add at least ¼ cup of bleach or white vinegar to a half bucket of warm water. It only takes one sugar ant scout to locate a food source, no matter how small, and then guide the entire nest to that spot. Carpets conceal a lot of the food that sugar ants love. This includes bread crumbs, sugar, any other food that you yourself enjoy and also dead insects. Basically, all organic plant based or animal based matter is an attractive food source for sugar ants. Did you pour flour into a measuring cup? The dust from that flour could settle on your carpet and remain there until next time you vacuum—long enough to attract an entire colony of sugar ants. Don’t even dream of throwing your garbage into a garbage can either inside or outside of your home without a strong garbage bag. And, replace the garbage bag at least weekly. You might even wipe the clean looking garbage container down with the mixture of warm water and bleach or white vinegar each week. Think “hospital cleanliness”, or “computer clean room cleanliness”. The image of those guys wearing clean suits and white gloves comes to mind. Note that this is if you have a sugar ant problem and really want to get rid of it. Another great measure of clean success is this: If you could picture yourself eating off of the surface you just cleaned, you’re probably in good shape. If you could not picture yourself eating off of that surface, it’s probably due to the odor or bacteria on that surface and endangerment to your health. Well, that odor is exactly what attracts sugar ants. An additional line of attack where the problem is great is to use ant baits. A small drop of ant bait is placed on a small piece of cardboard in a place where you’re seeing sugar ants, say, in that spot on the floor near the base of your refrigerator. 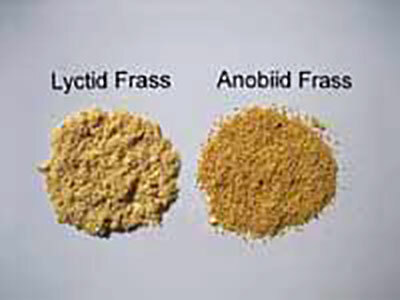 The most popular baits are commonly a mixture of corn syrup and boric acid, or Borax. Google “pavement ant bait”. 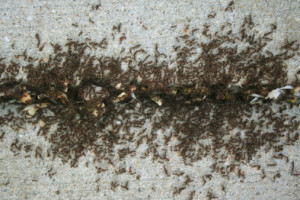 Sugar ants take the bait back to their colony and this method had been successful in completely wiping out a colony. Used in conjunction with the clean room approach noted above, this can be every effective in eliminating or controlling a sugar ant infestation in your home. Whole cloves and bay leaves are another natural sugar ant deterrent, and also can effectively deter moths and other pests while leaving a clean scent. Place them along baseboards and under counter tops—anywhere food is stored or prepared. Place them where ants might enter into your home. Place them in your garbage containers outside the garbage bag. Following the above practices will most likely rid your home of sugar ants. However, if you have a sugar ant problem, you might want to hire a professional sugar ant control expert like ApolloX Pest Control to eliminate the problem initially, and then use the above control measures to maintain a sugar ant-free home. An added benefit of ApolloX pest control is that we’ll also look at the areas outside your home where the sugar ant colonies exist. In addition, we’ll consider the presence of other pest species, and a more comprehensive approach to a pest-free home. What good is it to get rid of sugar ants if you have a mouse, rat, coachroach, moth or termite problem? Posted February 2, 2016 by Visitor & filed under Fleas. Fleas are fast and can travel at speeds up to one mile per hour. In flea distance, this is equal to over 100 miles per hour. Result: The fleas that are anywhere within 24 miles of your home could be in your home tomorrow! But it gets even crazier. The flea that found its way into your home can survive there for up to a year–for two months without food! Flea eggs last a long time, and can lie dormant for up to 2 years before hatching. So, that flea problem you think you got under control a year and a half ago could suddenly come back. How many fleas could there be? The fleas on your pet represent only 5% of the fleas in your home, because that’s about how often they’re actually on a pet. One estimate has it that for every flea you find on your dog or cat, there are 75,100 additional fleas living in the house! Fleas defecate as they feed, and so transmit disease and parasites such as tapeworms. When the infected areas are scratched, the murine typhus pathogen can be transmitted from their infected feces into the wound. Fleas are responsible for transmitting the plague which decimated medieval Europe taking 25 million lives. 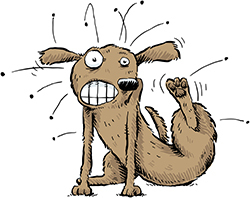 More commonly, fleas cause allergic dermatitis in some pets…and people. For these reasons and more, a flea problem can be far more than a problem for your pets to endure. If you notice fleas on your pets, the safety of your family is at risk. Flea Control In CT: What Are the Necessary Basics? As noted, flea eggs can lie dormant for up to 2 years before hatching. So it’s going to take a long term strategy to ensure a flea infestation is under control. Treating you pet isn’t enough. Remember, for every flea you see on your pet, there are over 75,000 others in your house. You’ll need to treat your entire house, and your yard at the least, and persistently repeat the treatment until every dormant egg has hatched–over a period of a couple years. Salt can eat through flea eggs, so sprinkling salt on the carpets before vacuuming can strengthen the effect. It’s been suggested that you vacuum up a few teaspoons of flea powder into the bag to help kill the fleas you vacuum up. Be sure to discard the vacuum bag outside the home, sealing it in a plastic bag. Sprays containing methoprine or chlorpyrifos have the residual ability to kill hatching fleas, and they can be used on furniture and carpets, but not directly on your pets. 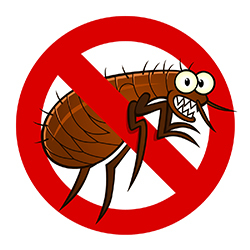 Flea foggers can be effective when used twice—three to six weeks apart, but all people and animals must be removed from the house during use. As you treat your home and pets, simultaneously treat your yard at 14-day intervals. This can be effective on non-rainy days any time of year except during the cold winter months. If you yard is large spray it with chlorpyrifos. If smaller, dust with malathion or diazinon following the directions on the label. Treat all pets in your household at the same time, and simultaneously as you treat your home and yard. A flea shampoo followed by applying a flea repellent is a good start. If you have young pets, you’ll need a product safe for them vs. using a product made for adult pets. Carefully follow the directions on the label to avoid harm to your pet. Flea collars have limited effectiveness. They can irritate young pets, and at best, are effective in keeping fleas off the head and neck area. 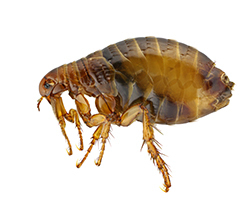 Due to the resilience of fleas, and there persistence in infesting a home over time, the most effective and sure solution may be calling in a professional flea exterminator who guarantees their work. Considering what’s at stake for your family and pets, the cost is far more reasonable than potential medical and veterinary expenses. 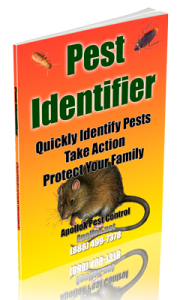 Posted November 28, 2015 by Visitor & filed under All Categories, Seasonal Pest Control. Year Round 365 Pest Control: Why? A healthy home and family is a pest-free home. 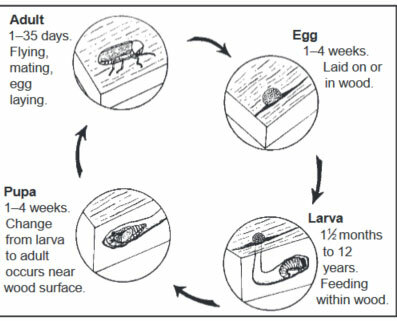 All pests naturally live and breed in nature and in homes following a yearly cycle. This cycle includes a dormant state followed by an active state.